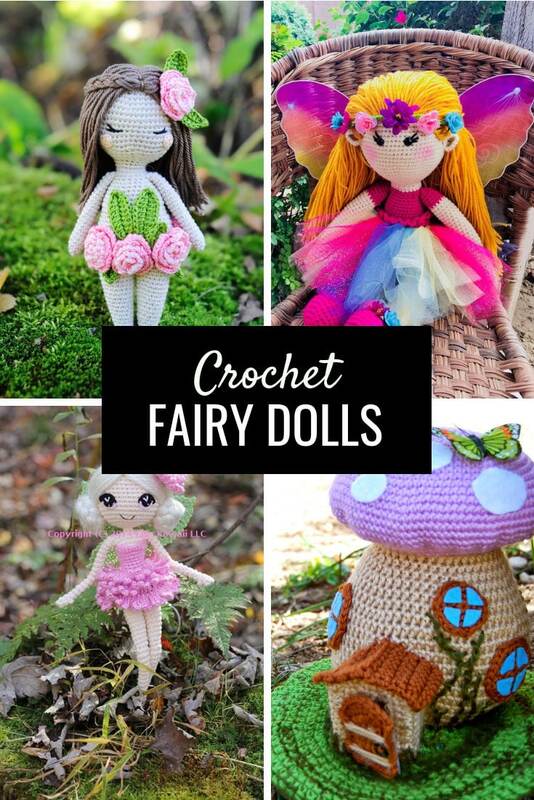 These crochet fairy dolls are so magical and the patterns are easy to follow. 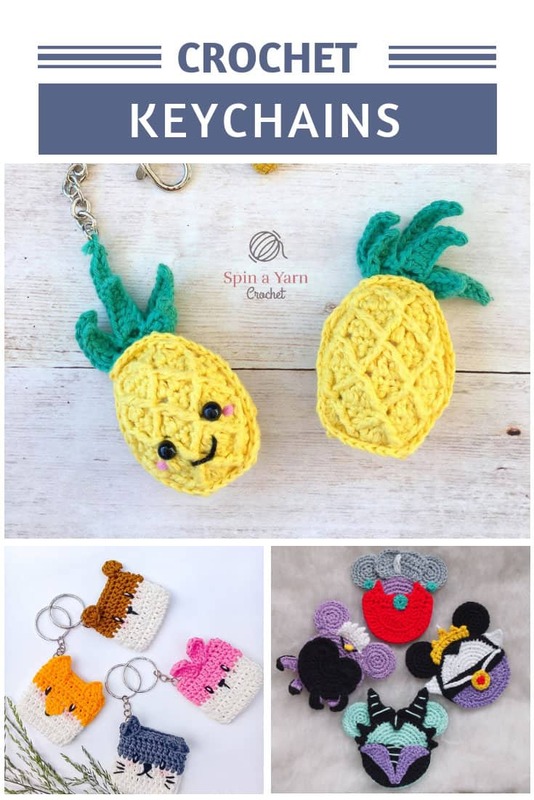 They make fabulous gifts for girls of all ages! 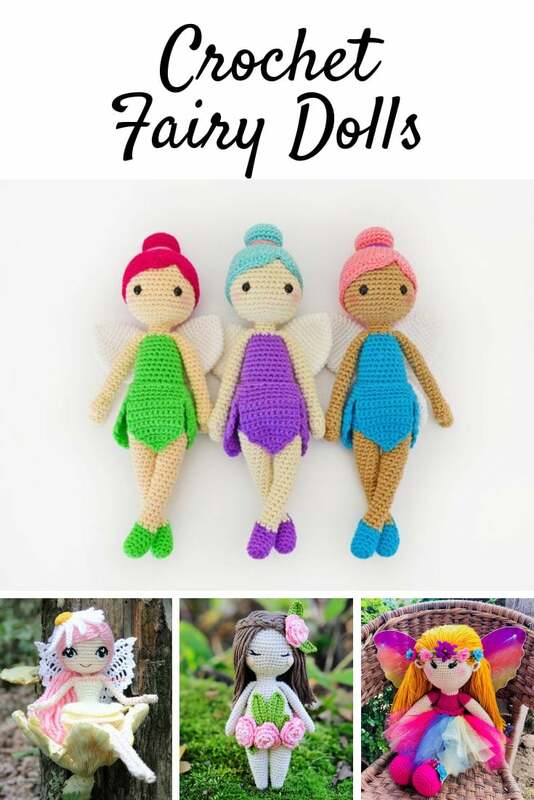 You know how much we love sharing crochet toy patterns around here and today we’ve got the most magical collection of crochet fairy dolls! 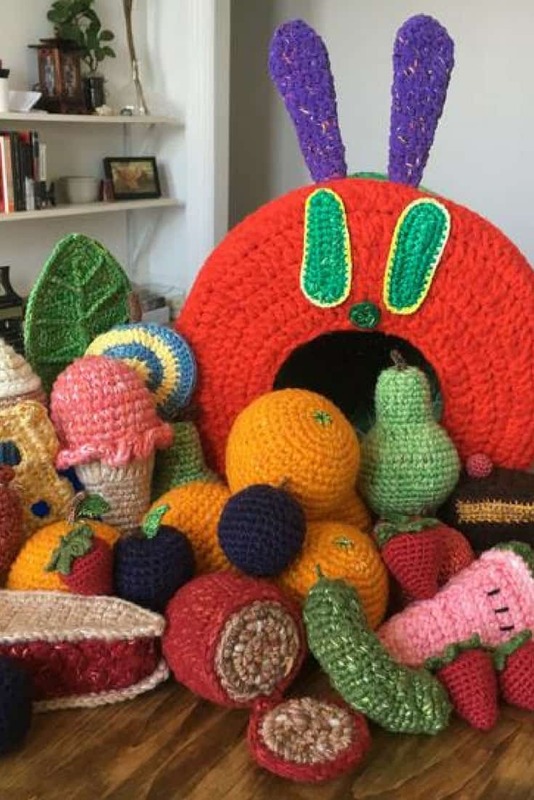 There is something here for girls of all ages, from a sleep lovey for a baby, to a tooth fairy doll and some beautiful wood nymphs that older girls are sure to love. Let’s start off with this adorable little fairy in her bright flower gown and elegant shoes. 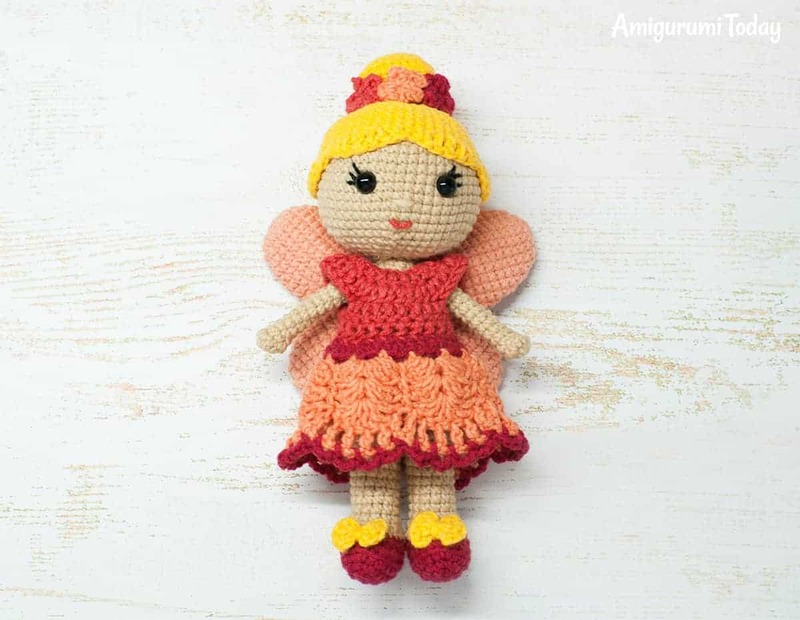 She even has a cute little flower hair band to complete her flower fairy look! The finished doll will be about 19cm (7.5 inches) tall. 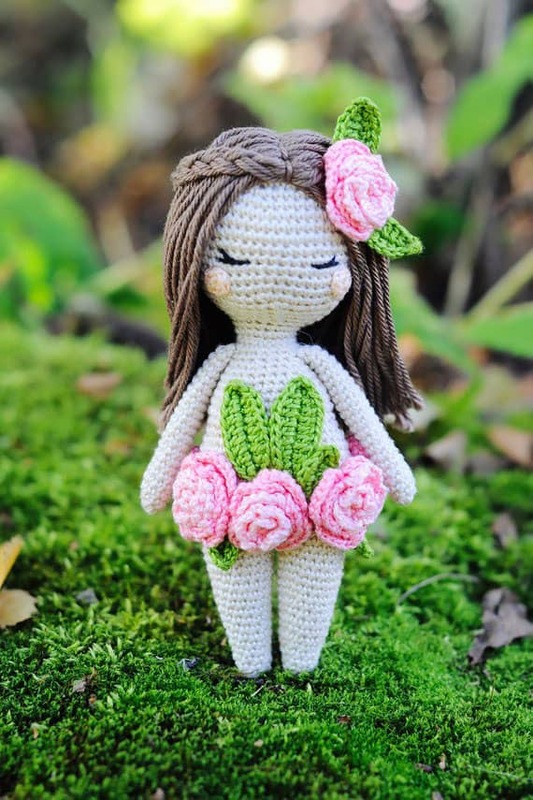 How precious is this forest nymph with her leaf dress and pretty pink flowers! This doll is almost fairy sized at just 14cm (5.5 inches) tall. 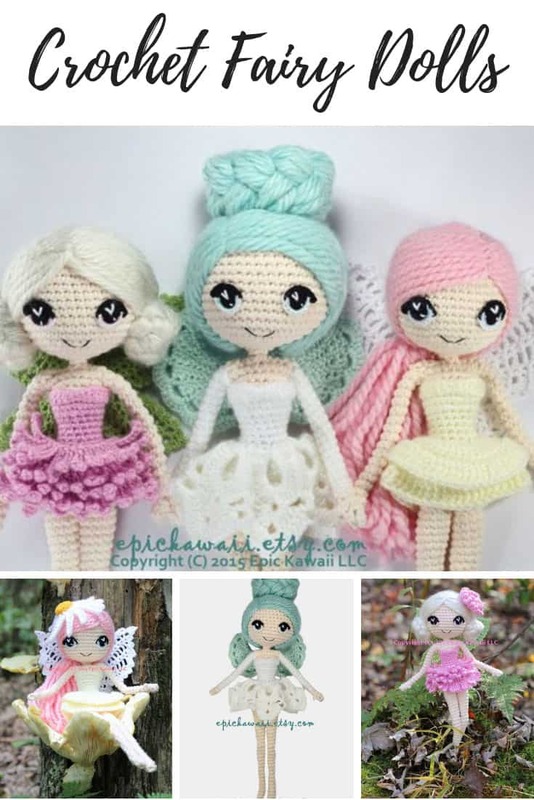 Every fairy doll needs a friend or two so why not crochet this set of three beautiful dolls. I love their delicate wings! 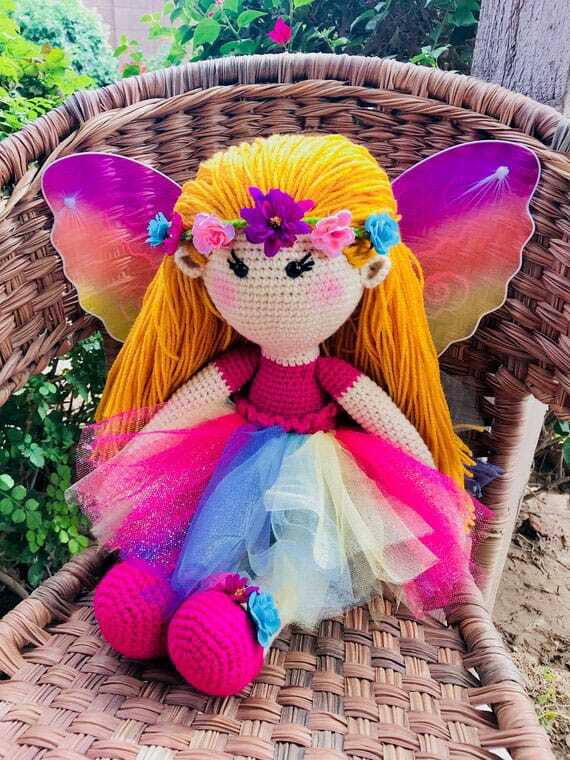 Little girls who love their fairies to be bright and colourful are sure to fall in love with this fabulous doll! Her tutu is all kinds of rainbow fun, and just look at those wings! 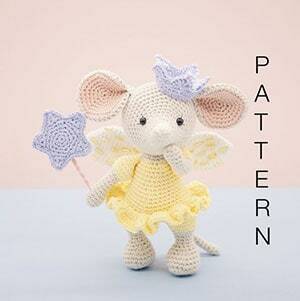 This is a larger fairy doll and she stands at about 18-21 inches tall, making her perfect for snuggling! 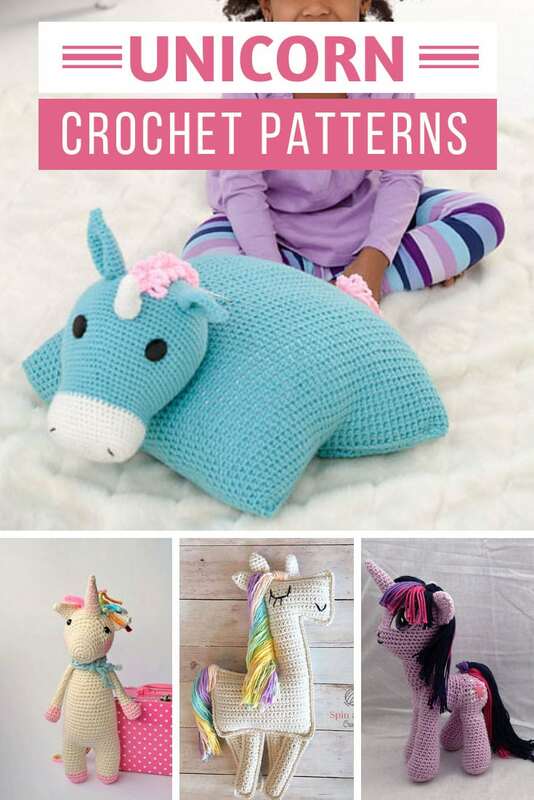 If you’re a beginner you’ll be pleased to know that there is a step-by-step video tutorial so you can crochet along with this pattern. 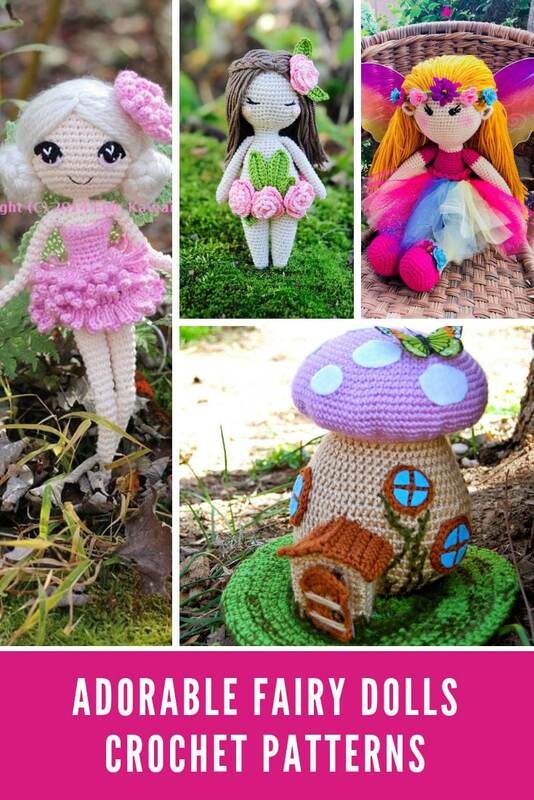 Felicia the Fairy Doll is an amigurumi doll who stands about 28cm (11 inches) tall. 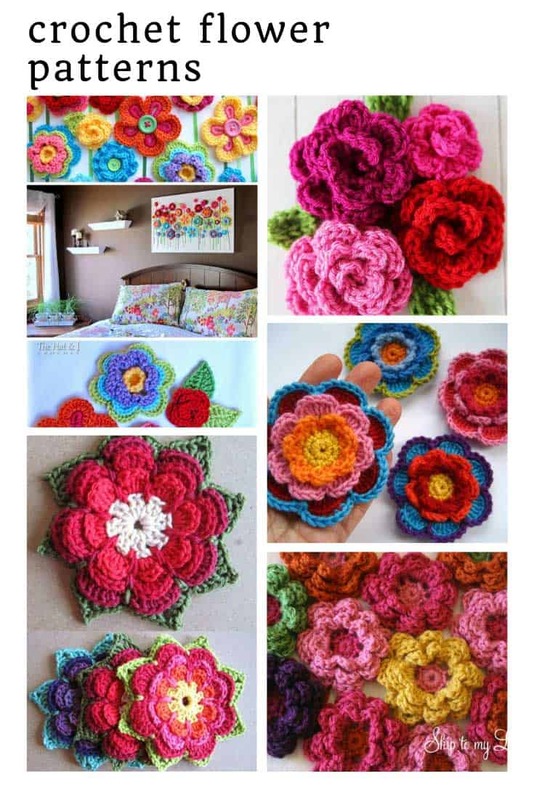 By switching the colors of your yarn you can make a whole band of fairies using just this one pattern. 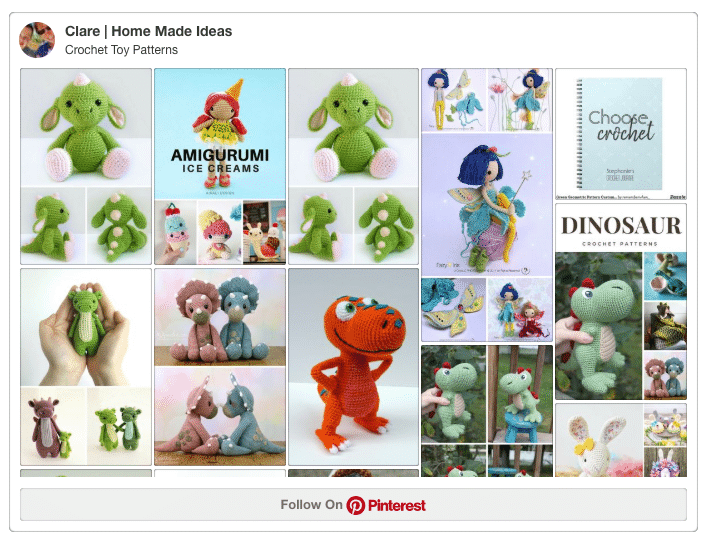 If you have a little girl who has trouble sleeping it might be time to introduce her to Aurora. This precious sleep fairy will watch over her while she’s sleeping and make sure she only has sweet dreams. 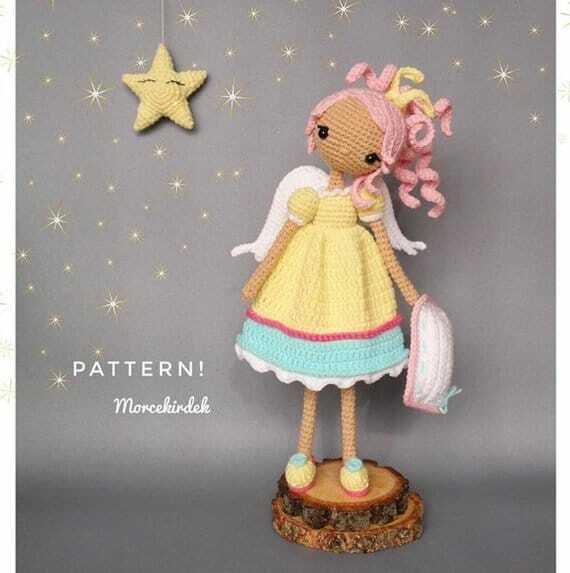 If you’re looking for a fairy doll perfect for a baby or young toddler you should definitely take a look at this pattern for a fairy doll lovey blanket. 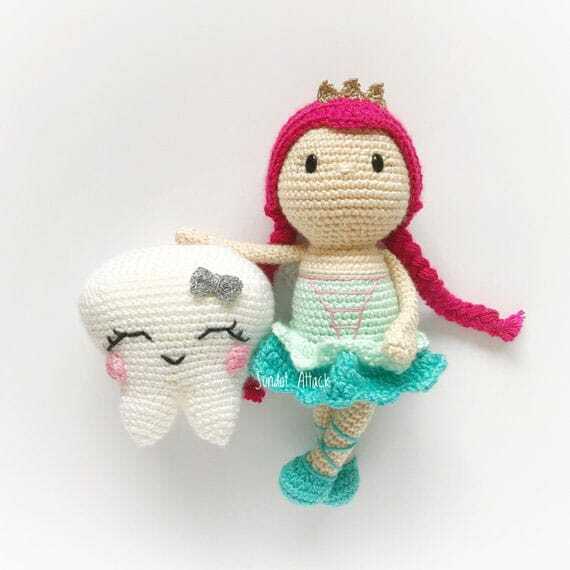 If your family is on wobbly tooth alert it’s time to quickly whip up a tooth fairy and sweet tooth keeper to help your little girl make the transition of losing her baby teeth! 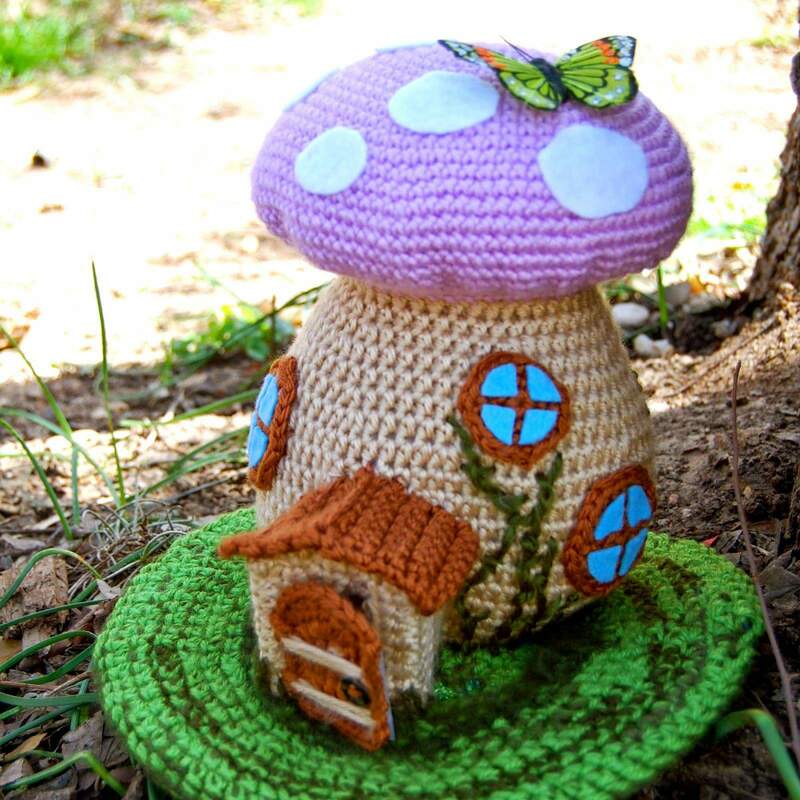 Every fairy needs somewhere to rest her sweet head at night so why not crochet one of these fabulous toadstool houses?